Many people are aware that evolutionary astrophysicists believe that the Earth came into existence about 4.5 billion years ago. The formation of this planet-size lump of rock allegedly happened by gravitational accretion from the dust that had previously swirled around the Sun. One grain of dust would attract another. Gradually, one lump would attract another. This would keep repeating until a planet-sized object appeared. There are two main problems with this scenario, apart from the fact that it is not described that way in the Bible. First, why would particles of dust or small stones stick together by gravity? If this were a normal thing to happen, then why has it not subsequently happened in the asteroid belt? The second problem is that even if such accretion were possible, it would only produce a planet-sized lump of amorphous rock. 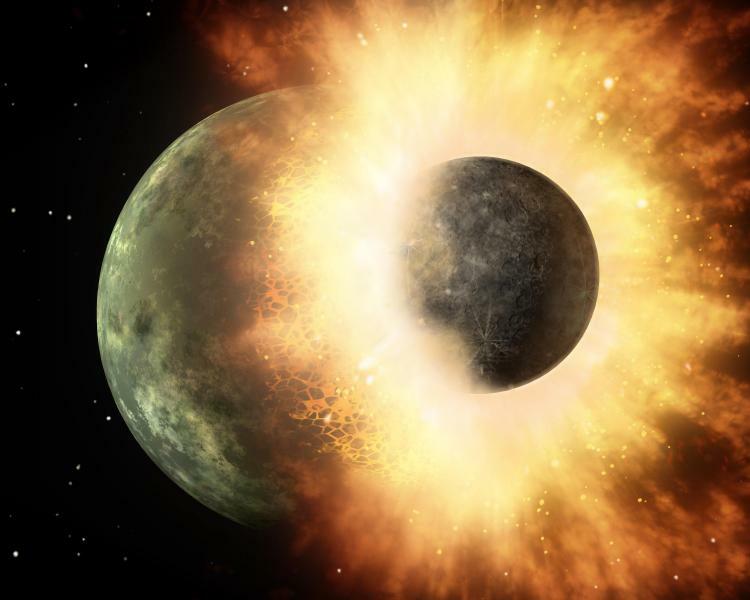 But the Earth has structure, with a solid crust, semi-molten mantle, and molten inner and outer core. So evolutionary astrophysicists suppose that about 3.9 billion years ago, another planet, about the size of Mars, crashed into the Earth, and vaporized. This caused the Earth to melt so that it could reset in the “correct” order. Although this model is a lot more sophisticated than this simplified version, it still seems to be something of a fiddle-factor – an invented story to attempt to explain the inexplicable. In contrast, the Bible tells us that the Earth was a direct creation by God and that the rest of the Solar System – and, indeed, the rest of the universe – was formed three days later, again as a direct creative act of God. Ref: Dalrymple, G. Brent (2001). “The age of the Earth in the twentieth century: a problem (mostly) solved”. Special Publications, Geological Society of London. 190 (1): 205–221. Image: NASA, Public Domain.